Extra thick cut nap picks up and traps dust, dirt, fingerprints and grime from furniture, woodwork and cabinetry without scratching. Use dry or moisten with water for even more cleaning power. Machine wash warm, air dry, no fabric softener. 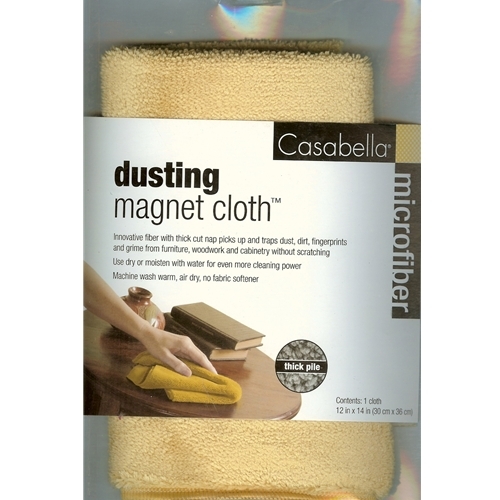 High quality microfiber. 12" x 14". Priceless, nothing is as good!